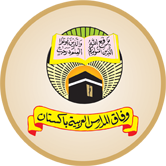 Multan, Wafaq ul Madaris Al Arabia has the mandate to manage the annual exams of the different class like middle, matric, inter, bachelor and master degree classes in the religious schools, which are affiliated with this board and for the private candidates. The candidates can get the complete WMAA annual exams 2018 date sheet, which shows the date and time of all papers of all classes, which are shown separately. WMAA date sheet for the annual exams 2018 will be provided online for the facility of the candidates and they can get the latest updates of their WMAA annual exams date sheet for 2018. The candidates will also note the location of their exams centers, in which the students will appear during the exams.